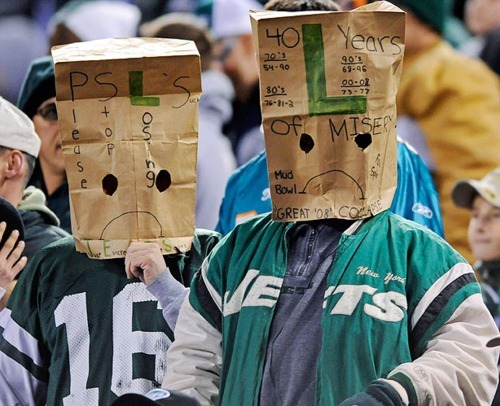 The New York Jets just lost their fourth game in a row to drop to 1-5 on the season. This is not what Jets fans expected after the team took a giant leap forward last year. Two years ago, the Jets finished 4-12 to put the final nail in the coffin of Rex Ryan. However, last year the Jets had a record of 10-6 and just missed out on the playoffs. With not many changes made during the offseason, most Jets fans had no clue that their team would come out of the gate like a horse that ends up being carted off to the glue factory. There is a lot of blame to be passed around for the Jets’ horrendous start. One of the key culprits that is affecting the Jets this year is that they had so many players injured during training camp. Players like Khiry Robinson, Devin Smith, Muhammad Wilkerson and Breno Giacomini started training camp on the Physically Unable to Perform (PUP) list. With so many key players missing training camp, it is little wonder that New York has stumbled out of the blocks. While the team did take a step forward last year, that success seems to be unsustainable thanks to the aging roster. Key players like Darrelle Revis, Ryan Clady and Giacomini are on the wrong side of 30 now, and the NFL is an unforgiving place for players who lose a step as they get old. With so many older players on their roster, it is likely that the Jets will have to overhaul the team in the offseason. In the Jets’ most recent game against the Arizona Cardinals, Fitzpatrick completed just 16 of his 31 passes for 176 yards in a 28-3 loss. The sad thing is that was one of his better performances this year. Fitzpatrick leads the league with 11 interceptions compared to just five touchdowns, and Jets fans are right to complain about the $10 million salary he is pulling in this year. The secondary, which has long been a strength of the team, has played pathetically so far this year. They seem to be a step behind the receivers they are covering on nearly every play. There have been far too many wide open completions against the Jets defense. Fans that thought the D line would finally step up against the Cardinals last week were once again disappointed. On the other side of the ball, the Jets receivers seem to be unable to find separation from their defenders. That is part of the reason why Fitzpatrick has been struggling so badly this year. It is much easier to throw interceptions when your receivers cannot give you any space to throw the ball. It is hard to see the Jets coming back from such a brutal start to make the playoffs, which means that their fans are in for a long year. Even one more loss may kill their playoff hopes, and some fans are already starting to turn the page to look ahead to next year.